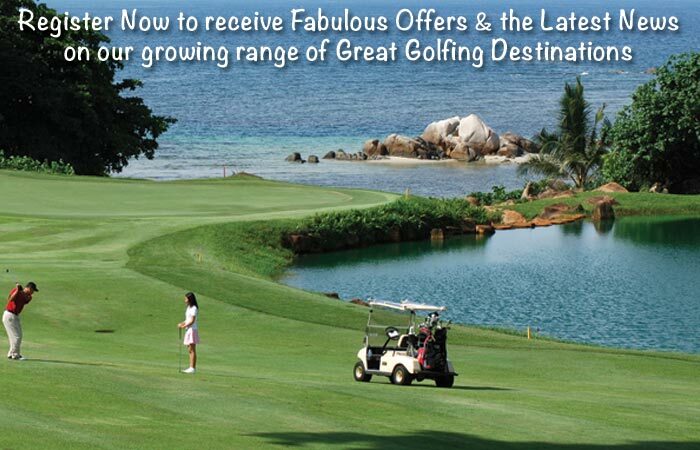 Only 50 minutes on a high-speed ferry from Singapore, Bintan Island offers some outstanding golf challenges. During our visit we experienced stay & play at Ria Bintan and Bintan Lagoon golf resorts and were pleasantly surprised. Ria Bintan’s lodgings are modest compared to Bintan Lagoon’s, however we were very comfortable with spacious rooms and wonderfully hospitable resort staff. The Gary Player designed courses were beautifully maintained and had a variety of challenges set amongst some gorgeous scenery. It should be noted the Ocean course is 18 holes, whilst the Forest course is 9 holes. Golfers playing a second round of 18 often elect to play 9 holes on each of the 2 courses. Bintan Lagoon Resort is a much larger establishment, offering an abundance of recreational activities and hotel amenities you’d expect in a 470 room resort. Sporting its own private high-speed ferry service operating direct to the resort from Singapore, there’s no delays or transfers needed to get you to the hotel. We loved the resort’s main pool complete with ‘Ripples by the Pool’ swim-to bar. Whilst there were a number of cafes, bars & places to eat at Bintan Lagoon, our favourite was Rice Restaurant situated on the resort’s private beach. Rice provided a fabulous outlook across the ocean and an excellent menu of delicious creations. As you’d imagine, spa & massage services are well catered for together with a stack of sporting and recreational pastimes. The resort has two 18 hole courses – the Sea View Jack Nicklaus design and the Woodlands course designed by Australia’s Ian Baker-Finch. We rated both courses highly and look forward to our next return for a rematch. Visit Golf Tours Abroad’s Bintan Island golf holiday page to view the details of a combined package that includes play at both golf resorts.